At Glitz Wedding and Party Decor we can supply, deliver and set up all the gorgeous decorations you require to obtain the perfect setting for your special event. 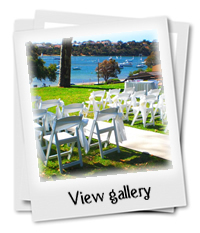 Some examples of the types of occasions we can help with are listed below. 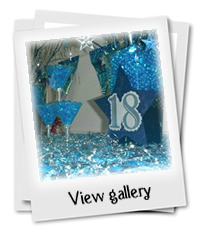 For that time when you need a unique, personalised theme - such as a 1st birthday, wedding anniversaries, 21st parties, hen's or bucks nights, engagements or any special occasion - let us help you make your vision a reality. Bring your own theme idea or ask us for suggestions. 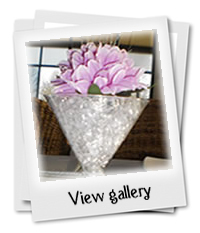 Are you planning a retirement party, a corporate lunch or maybe a Christmas Party? 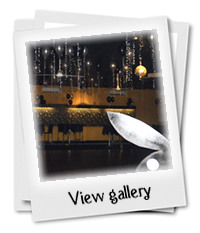 We can provide you with all of your decor needs or offer some ideas to get the atmosphere you require for your celebration. Everyone wants their special occasion to be memorable. If we can't supply everything you need we will do our very best to find it for you and at the most affordable price. If you have a special requirement/idea that you can't find, just let me know, and together, we may be able to make it happen! Celebrations at home are always fun! Whether you require chairs (dressed with covers & sashes), table decor, carpet runner or a novelty theme for a child or adult birthday we would love to assist you in making your setting perfect. Even if you don't see something that suits your idea or theme, get in touch with us as we can create and source decor and items to suit your occasion.